Happy Chinese New Year to everyone celebrating the Year of the Pig, including our Chinese customers and staff at our Hangzhou, China office. 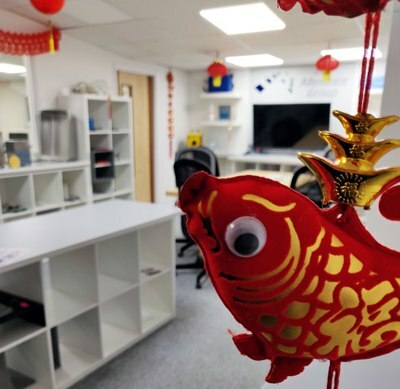 To celebrate the Year of the Pig, we have decorated our UK office with authentic Chinese decorations as well as some very tasty Chinese goodies in the staff kitchen. What’s your Chinese zodiac sign? Have a fantastic new year, or as they say in China, 新年快乐 (Xīnnián kuàilè).